The Savoy’s likely source for this gem of a cocktail was likely Harry McElhone’s 1928 “ABC of Cocktails”. 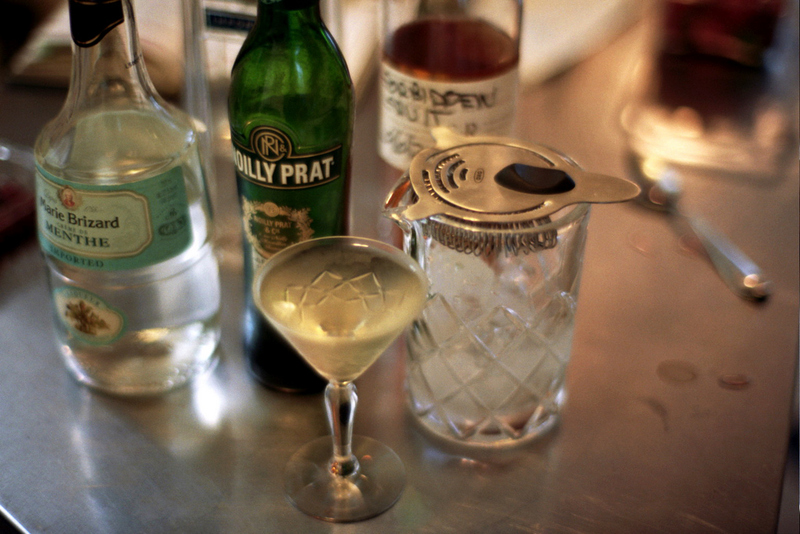 In his book “Barflies and Cocktails”, he notes this is a “Recipe by Pete Ormart”. I’ve no idea who Pete was or where he worked, but oof, that certainly sounds like a recipe for slightly grapefruity Mouthwash. I did my best to slightly mitigate the damage by lengthening the recipe with French Vermouth and decreasing the amounts of the liqueurs, but it was still far too minty for me. Maybe just a glass rinse of Menthe would be enough? So maybe he just liked that sort of thing, or at least thought White Ladies and Virgins did.